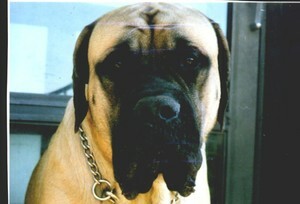 Ours is not a mastiff, be he once saved the life of my brother. Due to an illness, my brother collapsed in our house and he was alone with our dog. Our dog whined, barked and stomped on our neighbor's door to get their attention, which led them to find out that my brother was unconscious. Our neighbor then brought my brother to the hospital. And yes, I will hug my dog in memory of Boomer. Thanks for this post. Boomer, youre the best! After reading Ken, Marie, James and Allisson's write-up, I was moved! Thank you for the inspiration!